For many, the end of the school year is extremely busy, hectic, time consuming, and stressful. Especially when my work involves working in schools and tutoring students, the days seem to be marathons with a long list of to-dos. 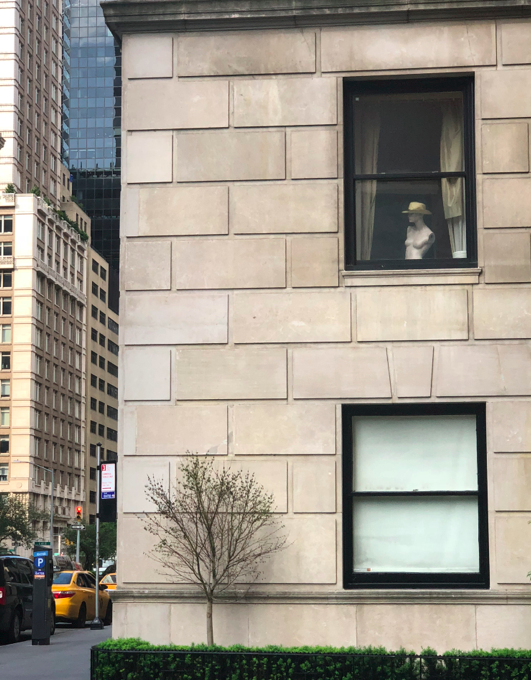 So, it was especially joyful and happy when a couple months ago, I discovered a neighboring apartment that had a statue that gazed out on to the street. This statue wasn’t just any statue, but one where the owners would frequently rotate the hats that the statue was wearing. For some reason, this was exciting and something I looked forward to every day. The hat on the corner apartment of the building across the street.